Working together has always made us stronger. In fact, BAL was formed by the industry for the industry. Created by the British Ceramic Tile Council to provide the first specialist manufacturer in the UK dedicated to manufacturing products specifically for tiling installation and to lead support and standards for the tiling industry. 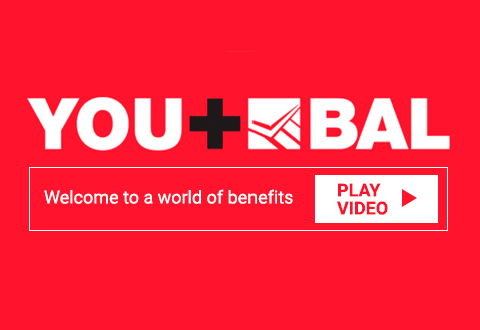 YOU+BAL is our way of welcoming all fixers and contractors to partner with BAL so that together we can give you exactly what you need to help your business grow and to keep your life simple. It's an even greater opportunity for everyone to be the heartbeat of BAL; to instantly benefit from the full support we can offer and to give you access into BAL to develop the products and services that you want together. It's not just one thing, it’s everything! * Our unique development programme. * Exclusive rewards and discounts. If you have already registered for Y+BAL on the BAL website you can skip some of the registration for Y+ by logging-in using your MyBAL log-in details below.